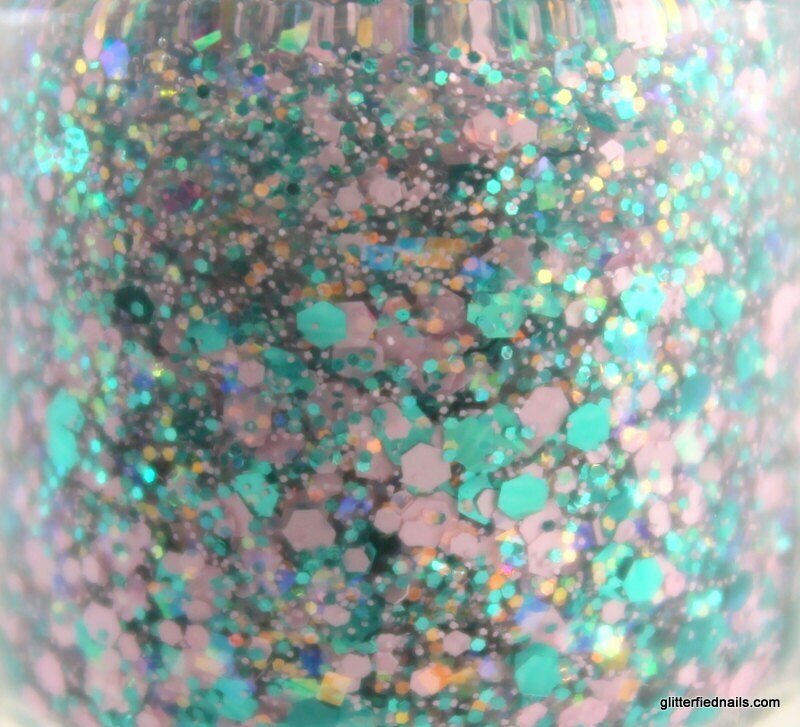 Dark teal plays against pale cotton candy pink with accents of iridescent sparkle in a clear 5 free base. Wear alone in 1-3 coats or over a colored polish for more pizzazz. Swatches - Left to Right - 1 Coat, 2 coats and 3 coats. 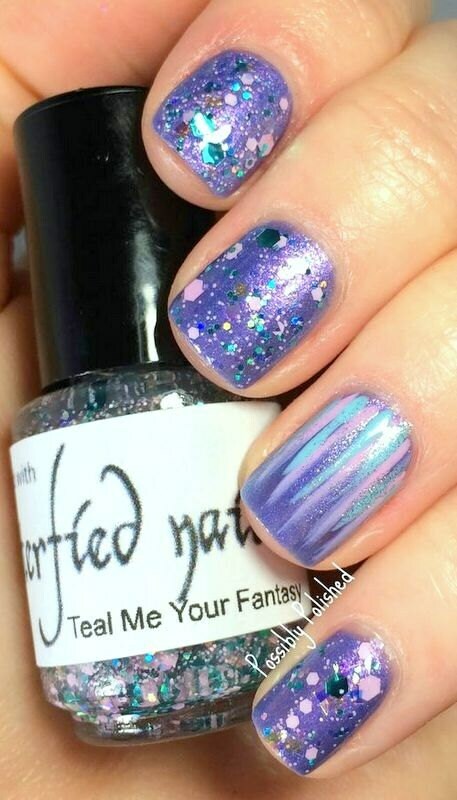 Last photo shows Teal Me Your Fantasy over Cultured Pearl, Spun Sugar and Fuchsia Fantasy. Some settling may occur during shipment. 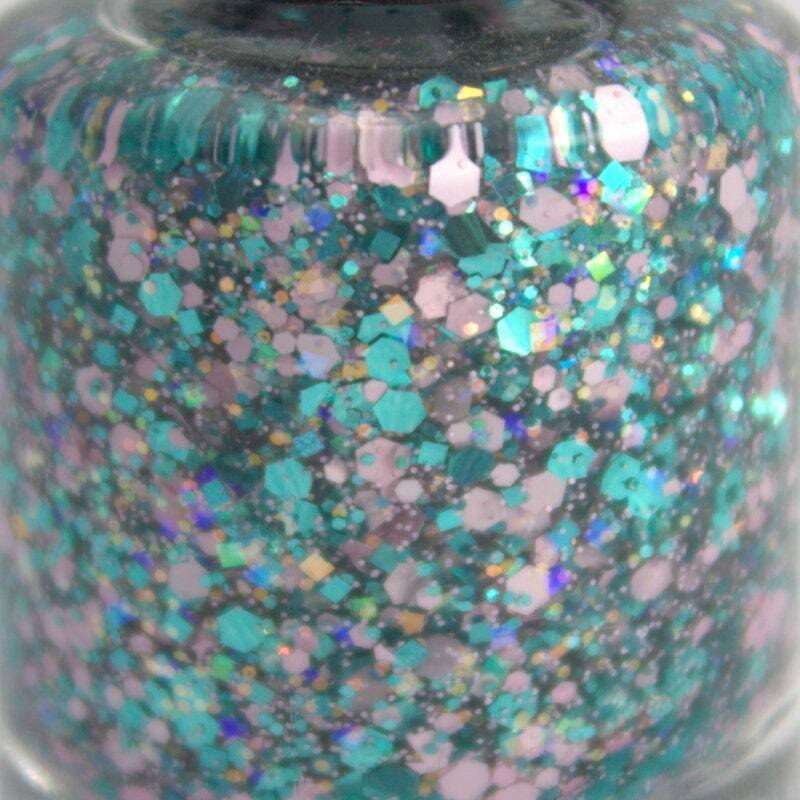 All polishes contain stainless steel mixing balls just like your regular polish. Just give it a good roll or shake. If you find it too thick you can add a couple drops of nail polish thinner (not nail polish remover). This is a full size bottle (15 ml). All polishes are made in small batches and therefore may vary slightly.